Crawfish Queso is great with tortilla chips but it is also wonderful with fresh French bread. 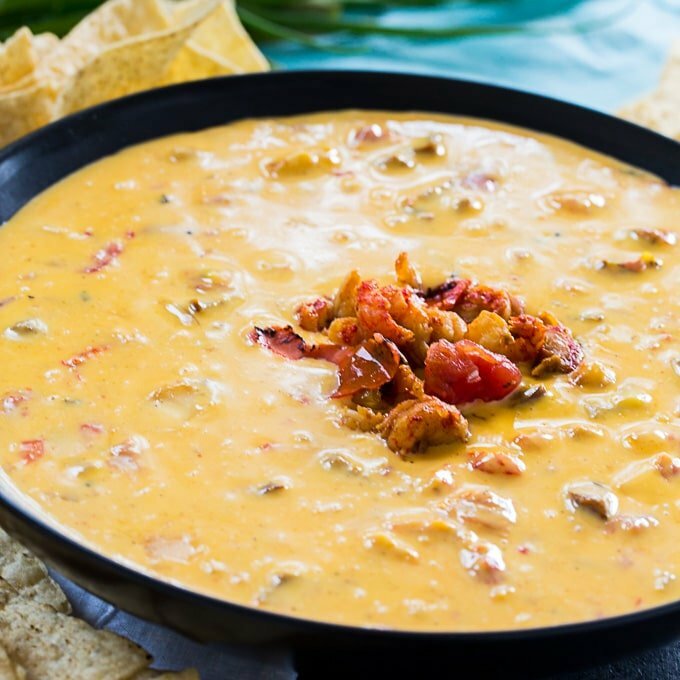 In addition to crawfish, this queso also has another popular Cajun ingredient, andouille sausage. The andouille adds some heat to the queso. A combination of Velveeta cheese and Colby Jack cheese makes for a really smooth and creamy texture. Both these cheeses melt really well.